May is traditionally a strong month on the London auction scene and Grosvenor weighed in with three fine sales held over four days that achieved a total realisation for the week of £2,363,871. The John Rose collection of Gambia on Monday 23rd May, presented as a prestige single vendor auction, produced many high prices and a sale total of £194,365, well in excess of the pre-sale estimate. Two beautiful and rare full sheets of fifteen from among the Cameo 1880-81 issues with watermark upright, particularly caught the eye. Both included the “sloping value label” variety and had formerly appeared in the internationally renowned Dale-Lichtenstein collection. The 4d. 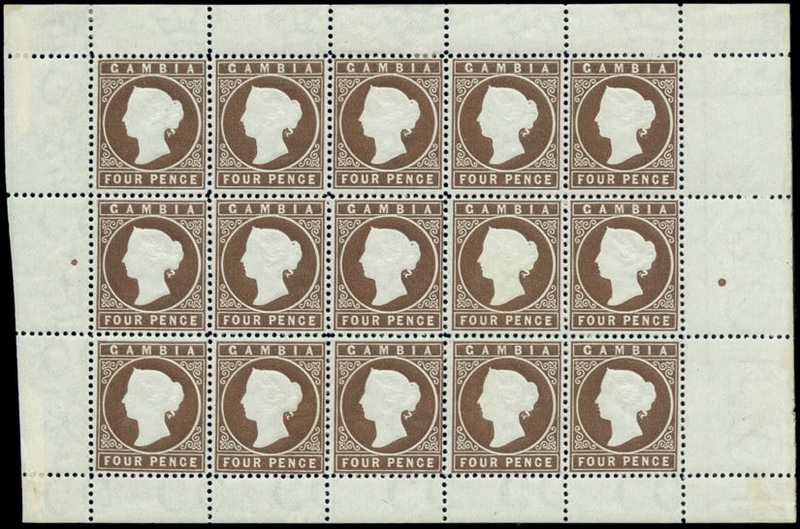 brown sheet (lot 116) realised a remarkable £12,642, whilst the 6d. deep blue (lot 124) rose impressively to £7,465. The highly attractive mint corner block of four of the 1874 6d. deep blue, chosen to feature on the front cover of the auction catalogue, found a new home for £1,625. Before the dust was allowed to settle, an outstanding auction of British Empire & Foreign Countries, containing a series of notable specialised areas of interest, began the same afternoon. 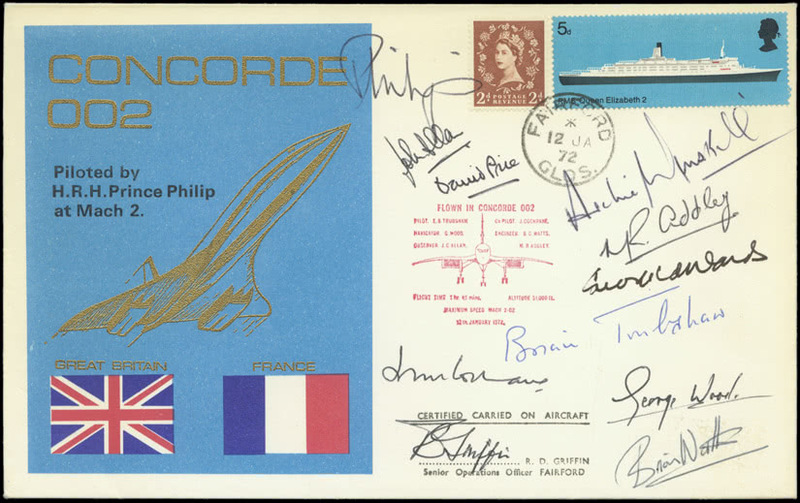 First up, the Charles Harrison collection of Concorde Covers created great excitement, more than doubling expectations by soaring to a total of £49,495 with all lots sold. Unsurprisingly it was the unique 1972 cover from H.R.H. Prince Philip’s Special Flight (lot 531) and signed by the Duke, that brought the highest individual price, that of £1,625. Rarely offered Telegraphs & Revenues featured in the next section and included collections formed by the late Dr. Steve Hiscocks and Colin Lee. These attracted much interest with both collections including one of the key items of this area, the se-tenant strip (10s. 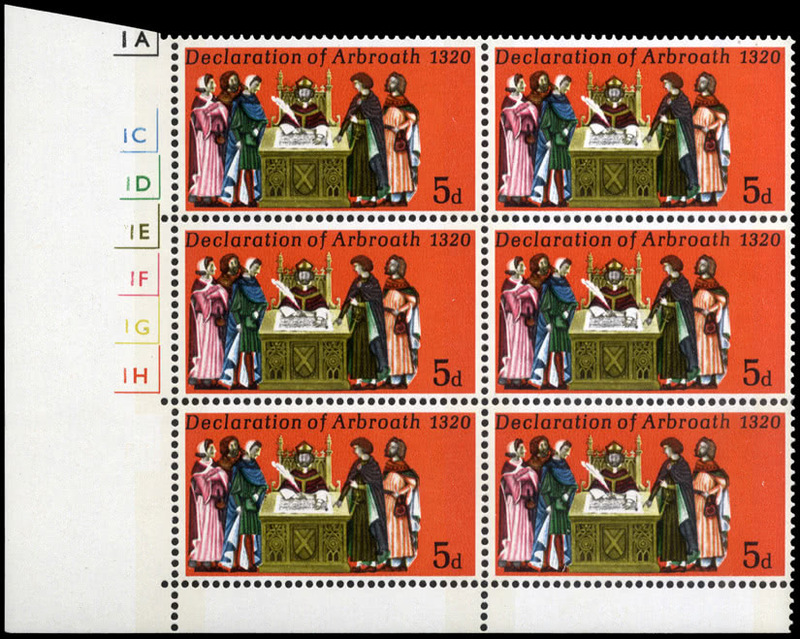 stamp joined to the 2s.6d. and 5s.) from the Reuters Telegraph Service in Matebeleland in 1894. The first (lot 642) realised £2,691, the second (lot 643) £2,457. The afternoon concluded with a strong representation of Miscellaneous & Mixed Lots, enthusiastically received. Day Two of the auction presented countries from Aden to India and will be remembered for strong international bidding both before and on the day, driving prices to record levels. Ascension featured an exceptional collection of the King George VI issues and demonstrated again that there is no slackening of interest in this reign. Ceylon was more prominent than sometimes with a number of scarcer items and collections including postal stationery. The forthcoming Grosvenor auction to be held on 28/29 September will similarly be of interest to the Ceylon specialist. China may be considered still a sleeping giant but already must be taken very seriously. 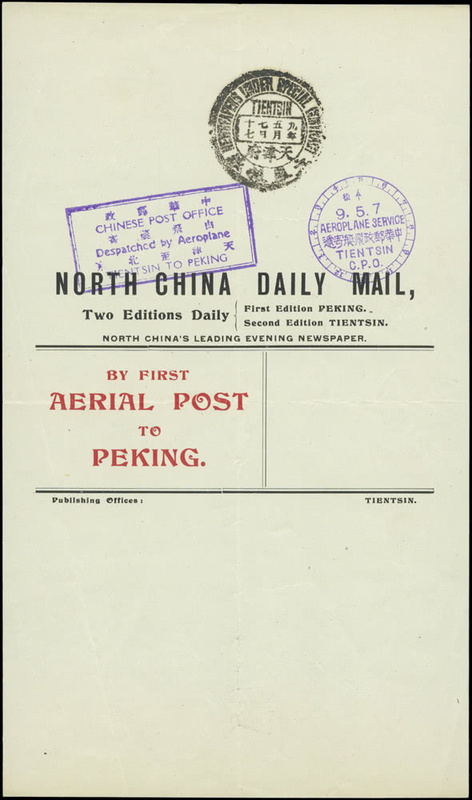 Tense bidding for the catalogue front cover item, the finest example of the 1920 North China Daily Mail newspaper wrapper from the Tientsin-Peking experimental flight (lot 1317) pushed the final realisation to £18,720. The regular strong section of Falklands & Antarctica once again generated the support from around the world that this remote area of the world is pleased to enjoy. 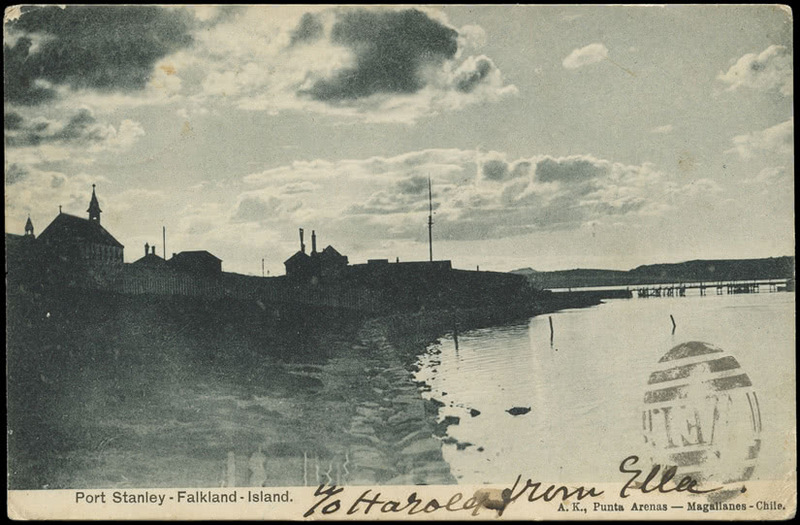 Fox Bay was this time a strong feature, including as it did scarce material from the collection of Dr Nigel Lehmann. 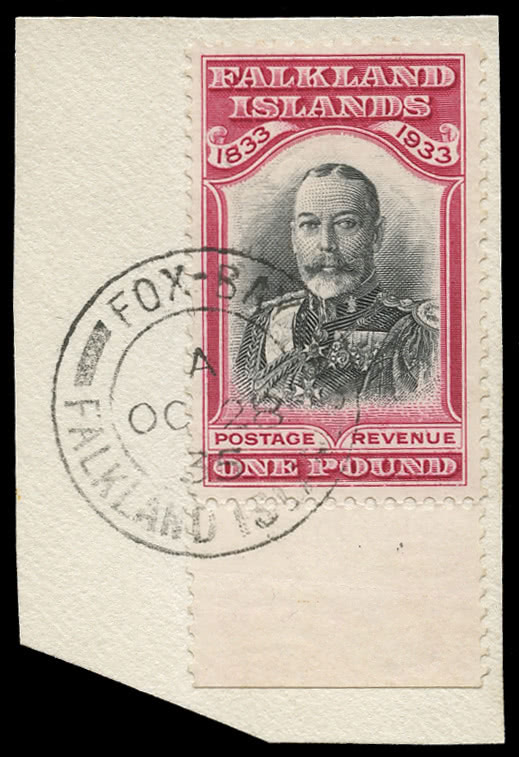 A strike of the early “W.F.I.” obliterator on postcard (lot 1580) sold for £1,926, whilst the 1933 Centenary £1 with Fox Bay cancellation (lot 1616) impressed at £2,649. The telephones were hot during the section of India. 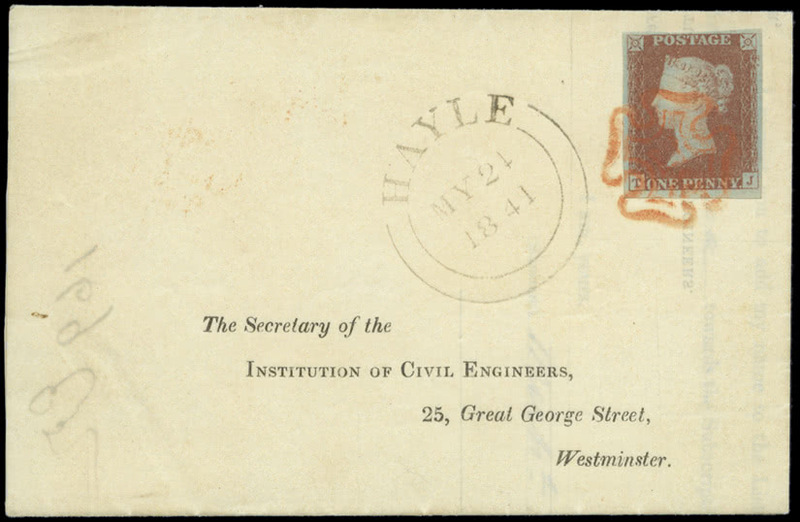 Among many remarkable prices worth noting were the £3,744 paid for the redirected 1857 envelope franked by two cut-to-shape examples of the 1854 4a. 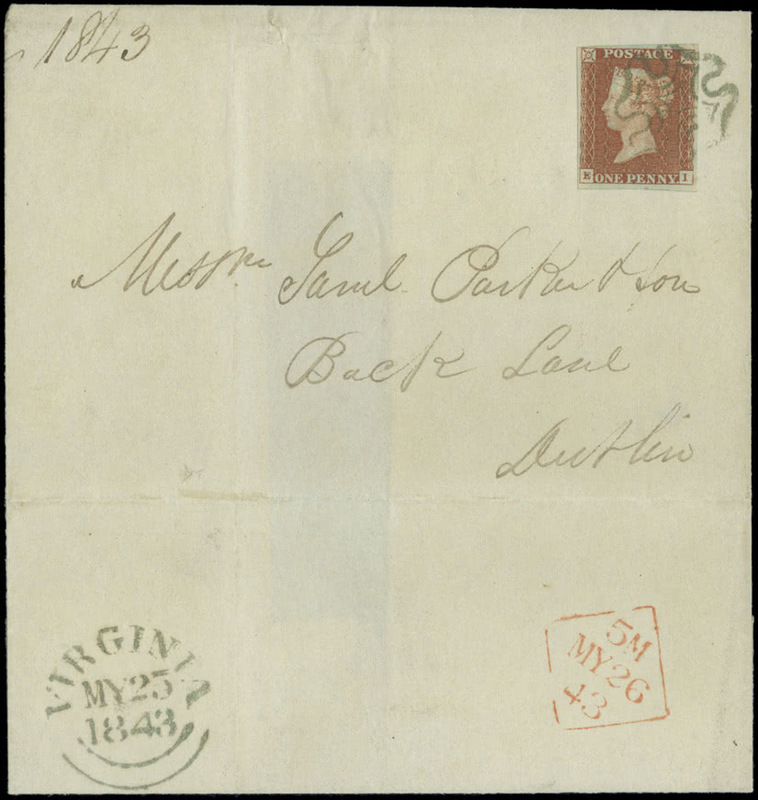 (lot 1903) and the £13,846 paid for the 1856 to 1890 correspondence of nineteen items (lot 1901). Both lots came from the outstanding collection of the late Dr Ronnie Straus, a further offering from which will appear in the Grosvenor September auction. A notable section of Southern Africa included the Stewart Duggan collection of Anglo-Boer War picture postcards and fine material from the Union period including a mint strip of five of the 1930-45 with the lower stamps showing frame omitted (lot 2793, realised £13,244). 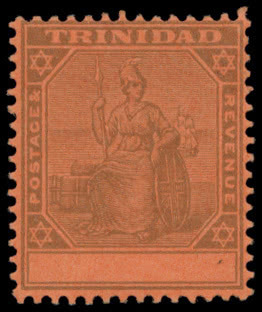 Amongst a number of important Trinidad rarities on offer one of only three mint examples of the 1901-06 1d. with value omitted (lot 2973) achieved £19,264 whilst the mint block of forty of the 1859 pin-perf. 6d. 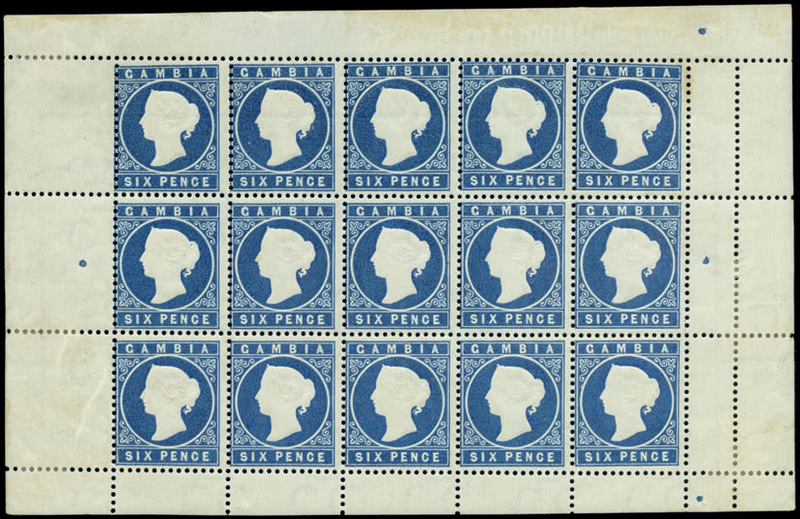 with ninth and tenth rows imperforate between (lot 2942) reached £21,672. The specialised auction of Great Britain held on Thursday 25th May realised an impressive £914,143. The Mulready caricatures brought very strong prices and astonished looks from unsuccessful bidders in the room! A fine line engraved section included excellent prices for 1d. blacks, however the top prices were £14,468 for the 1841 1d. 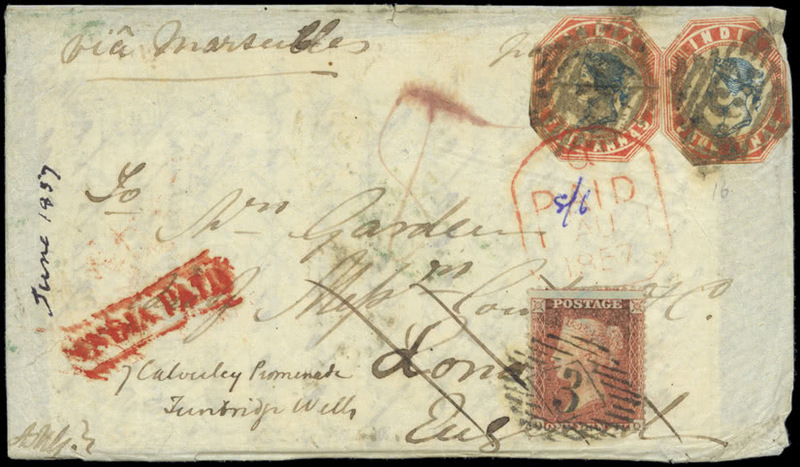 red-brown plate 9 tied by a red Hayle Maltese Cross to a printed subscription form (lot 3763) and £12,040 for 1841 1d. with green Maltese Cross on cover (lot 3774). 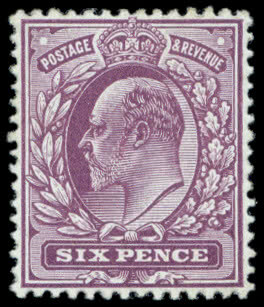 Fine quality items fetched excellent prices throughout the sale, the King Edward VII section included a fine mounted mint example of the 1911–13 Somerset House 6d. bright magenta (lot 4045) which rose to an impressive £6,020. Grosvenor have sold more G.B. modern errors than any other auction house and another exceptional range was included in this sale, bringing nearly £380,000. The section included a number of very rare ‘traffic light’ or cylinder multiples, the top prices paid were for the 1965 Lister 4d. 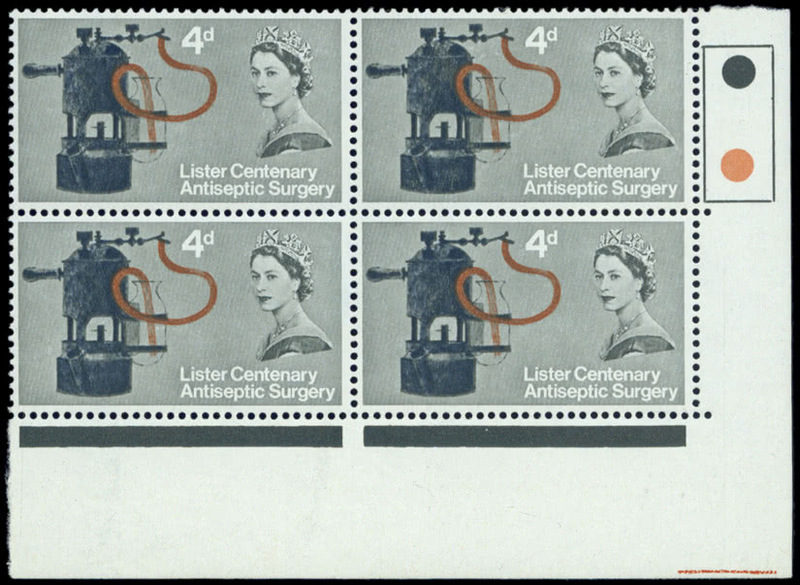 with indigo omitted in a corner traffic light block of four (lot 4187, realised £18,060) although the 1970 Anniversaries 5d. gold omitted in a cylinder block of six (lot 4302) came close at £16,856. The Grosvenor September 28/29th auction of British Empire & Foreign Countries is now in preparation with consignments accepted until the beginning of July. The next specialised auction of Great Britain will be on November 16th with material for inclusion accepted until mid September.